A call has been sent out to the British government to put in place a “thee-a-day” programme for milk and dairy products to encourage the consumption of dairy produce as part of a healthy and balanced diet. The programme is also designed to educate consumers over the benefits of dairy in the diet. The proposal, one of 10 recommendations in a new report from the Dairy All Party Parliamentary Group, has been sent to the Health Secretary Jeremy Hunt and MPs in a bid to get official backing to give dairy produce a higher profile, to have milk and dairy products recognised in nutritional guidelines and to support the dairy industry. The all party parliamentary group is calling on the government to work with the industry to ensure the right messages are circulated and the benefits of dairy products for the elderly are voiced. It also says that the benefits of milk in children’s diets needs to be stressed and the industry and government needs to work together with schools to emphasise the positive messages about dairy consumption. The group in its research found that dairy products play a major part as sports recovery products and it has called for these benefits to be promoted and new products to be developed. The group has called on the European Parliament to repeal the concept of nutrient profiles which it says put a burden on already stringent regulations and could be detrimental to natural, traditional foods and leave the door open to nutrient poor foods. It said that it is necessary to take into account the effect of whole foods and dietary patterns on health and single nutrients should not be singled out. The all party group said that the UK consumes too much “free sugars” but the difference between these free sugars and intrinsic sugars such as lactose needs to be made clear. MP Heather Wheeler, who chaired the Dairy APPG said: “I was quite surprised to see that so many misconceptions and myths about dairy still resist even the strongest science. 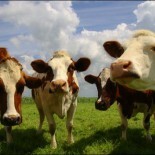 “The dairy industry has long played an important role in helping to feed the people of the UK. In launching the report in Parliament this week, vice chair of the group Simon Hoare MP said that just as with the idea of five a day for fruit and vegetables the central focus of the report was to promote the idea of three a day for dairy products in a balanced diet. He said that the Dairy APPG plays a pivotal role in both public health and diet. “We need policies that support the sector not hinder it,” he said. He said it was time that dairy was put back on the menu, which is why the group was promoting the concept of three a day for dairy products – a concept that had already been adopted in countries such as France, Canada and the US. Margaret Ritchie MP, also vice chairman of the group said: “Current trends in dairy consumption are a concern. Although milk and dairy foods are paramount to the development of children and teenagers, younger generations do not always see dairy as being an essential part of their diet. Dr Judith Bryans, Chief Executive of Dairy UK, said: “The Dairy APPG report is a welcome contribution to the debate on the links between dairy, health and nutrition. Milk and dairy products are packed full of the nutrients we need at all stages of life. Yet, because of conflicting media stories, negative messages and a flurry of questionable claims about dairy alternatives, it seems that the nutritional benefits of dairy products and their role in a balanced diet are no longer obvious to consumers. “The science that underpins the nutritional benefits of dairy is formidable and we need to keep pressing home that dairy foods have a crucial role to play in a healthy diet. As such, we strongly support the APPG’s calls for the implementation of 3-a-day programme into nutritional guidelines in the UK to promote consumption and educate consumers of the benefits of dairy. “Last but not least, we fully support the APPG’s recommendations for a cautious approach to reformulation programmes as policies which target individual nutrients do not always provide a balanced view of certain foods and can lead to misunderstanding the total value of whole foods. We have been calling for a holistic approach to nutrition policies to ensure that nutrition policies take into account the effect of whole foods and dietary patterns on health outcomes. Measures such as nutrient profiles fail dramatically to consider the nutrient-richness of natural foods such as milk or cheese and have a serious impact on the industry’s competitiveness. Nick Everington, RABDF Chief Executive, said: “Promoting the consumption of milk and dairy products as part of a balanced diet is good for the health of consumers, the rural economy and the nation as a whole. With dairy farming currently facing its biggest challenge in more than two decades, it desperately needs the support of the British public. This entry was posted on March 10, 2016 by agedchrisharris in Cattle, Uncategorized and tagged Cheese, Dairy, Diet, Markets, milk, Parliament.